Does a bear sit in the woods? Only when they're paws are tired. 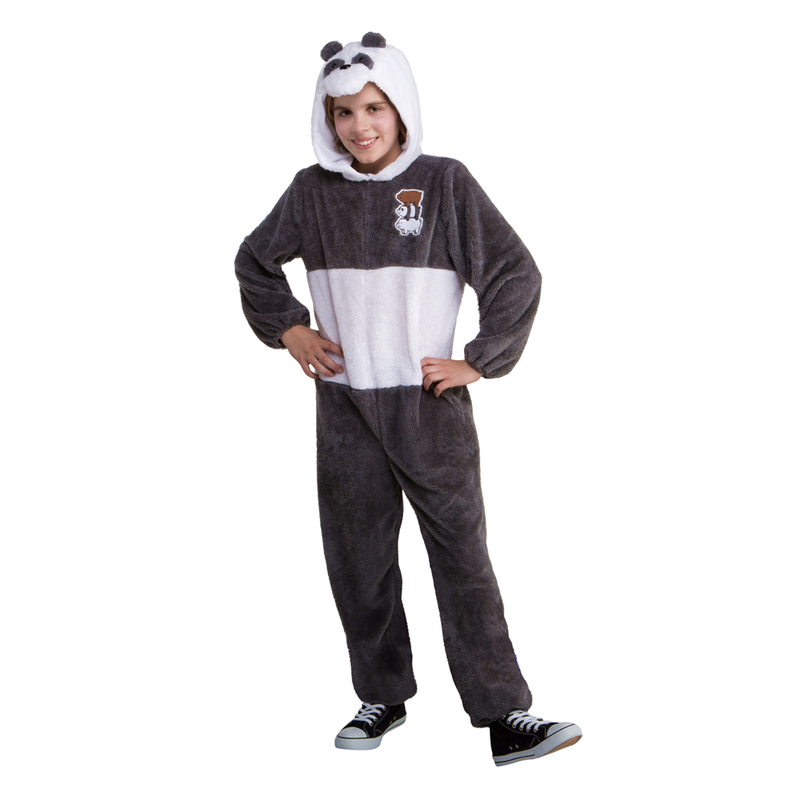 Now you'll be able to integrate into the human world and with your own kind in the woods (Not actual bear camouflage--should not be used to live peacefully among wild bears) with the We Bare Bears Panda Bear Teen Costume. This soft bodysuit is comfortable to wear and oh so fun. The torso is white and the chest is black. The legs and arms are black. The attached headpiece has Panda's face on it. Grizzly and Ice Bear would totally approve. Do not wash. Do not bleach. Do not dry clean. Do not iron.